FREE Ductless Air Conditioning System Installation Estimates! Cape Cod Heating & Cooling HVAC » Ductless Air Conditioning System Installation » Installation of ductless air conditioning system. 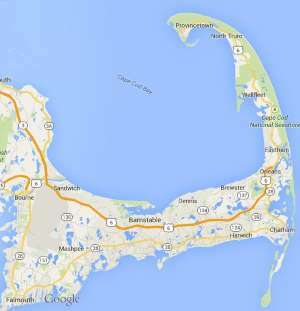 Free estimates from local Cape Cod ductless air conditioning system installation companies. Get quotes on your ductless air conditioning system installation project in Barnstable, Brewster, Bourne, Chatham, Dennis, Eastham, Falmouth, Harwich, Mashpee, Orleans, Provincetown, Sandwich, Truro, Wellfleet or Yarmouth, MA. Installation of ductless air conditioning system. I live in Michigan; I have a tri-level summer home at 195 Zoheth Smith Way, Wellfleet. I seek an estimate for equipping and installing a ductless split system. Could you provide the estimate without entering the house? The house is 2 375 sq feet, including lower level. I assume 4 zones, 2 upstairs bedrooms (one very small) and one unit on main floor and one on lower level. Thank you. Second floor of summer home that needs cooling in summer heat. Two bedrooms and small hall. We want wall unit not window. Air Conditioning for a 900 square foot, 1 level, cape; 2 bedrooms; 1 bath; 1 large living/kitchen area (about 25x20, with a cathedral ceiling sloping up from a height of 7 feet to a height of 10 feet). Interested in one unit for a 3 Season sunroom, heat only for about 4 months of the year. Want to install air conditioning in my home.